Using deep links when building an online profile will help increase your online visibility, boost search engine rankings by helping with your SEO (if carried out in a non-manipulative manner) and enhance your authority. We’re not fans of manipulating link building. It can often lead websites into hot water with search engines and produce a less than positive experience for visitors. You really want deep links from real sites who are delighted to share your individual content because it adds some value for their visitors. These type of pages they’ll usually find this rich content usually lives deeper within your site rather than on your home page. Why is it important to add deep links? But when adding links to sites, a common mistake website owners is to make the link go straight to the home page of the site they’re referring to. They’re not very useful to visitors who click through from the site to yours because usually the visitor was reading perhaps an article or news piece which relates to something in your website resources. They would benefit more from actually reading more information from the source (your site), but not the home page. The information on the topic which the visitors wanted to read about. These kind of links tend to also look unnatural to search engines too. It’s very important to be helpful to your site visitors when adding links to another site by ensuring they’re directed to the most useful further information, or the original source of the data or research, for example. A new breed of social sharing sites have emerged in recent years and are beginning to pick up momentum with online marketers. And they can be used to deep link to relevant pages of your website. Check out social publishing sites such Squidoo and Quora and use their platform to deep link to your webpages. You’ll find that in most cases links from social media platforms are no-followed. Google’s Gary Illyes recently said on Twitter that a link from a social media platform had about as much impact as a drop in the ocean. But that’s not necessarily the point. You want to make it easy for visitors to find your content quickly and easily from social media platforms. They could go on to talk about what you’ve shared or published and the link from those people you reach via social media sites might well be naturally published by an author on their own site as they refer to your work or content. Naturally. If you have customers subscribed to your brand and issue a newsletter, embed deep links to various pages across your website. The purpose of deep links is to direct readers to specific pages or to provide further information on a particular subject. The reader of your newsletter may well also share the link to the content via their social network and online circles. There’s nothing more frustrating than being unable to find the link to something useful you’ve read before, even if it’s just with a view to bookmarking it later. Over time, the message may well get further afield as your news spreads and your subscribers build up, naturally leading to some links from other sites too as they become aware of the interesting and useful information you’re sharing which meets their needs too. XML sitemaps and front facing sitemaps can act as a bridge between sections of your site and help to emphasise importance of some pages over others. Remember though, if you include everything in an XML sitemap or front facing HTML sitemap nothing is considered to be exceptionally important. We contributed a post to Search Engine Land which looked that this as a factor. It’s particularly useful if there are issues with crawlability on your site and you’re not getting everything visited by search engines as often as you need. If there are many similar pages or pages deep within the site and XML sitemap or front facing HTML sitemap provide a perfect solution to shorten click paths. 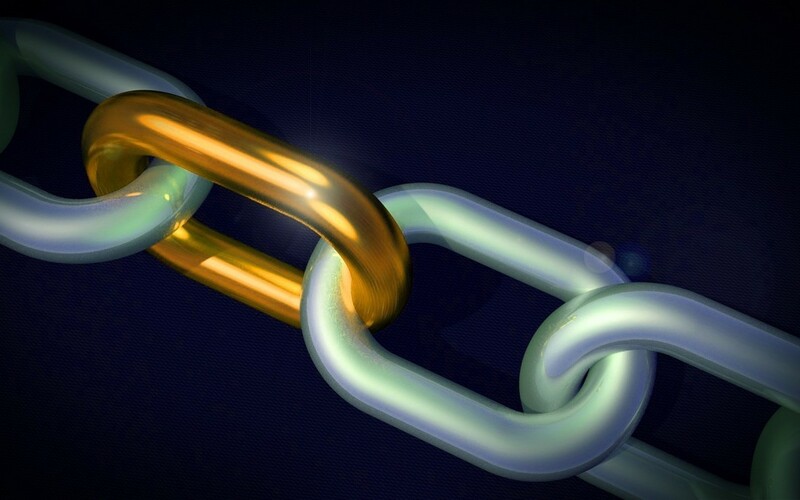 A seriously under-utilised technique in link building is that of using internal-linking to drive users (and Googlebot as well as the other search engine crawlers) deep within your site via contextual links in your own content. In addition to adding contextual links in the flow of content in your web pages add these to site-maps, curation lists and taxonomies such as bulleted lists highly relevant to the content which is on one page linked through to another. This is very powerful and adds context for the page being linked to. Use anchors from the page you are linking to which explain well the page content you’re linking through to. Avoid such anchor text in deep links as ‘click here’ or ‘read more’. These add no context for search engines whatsoever. Instead use deep links with anchor text such as ‘Shop shoes’, or ‘How to Videos’ so the website visitors as well as search engines know full well what they’re headed to. You’ll find your visitors user experience is improved, but you’ll also likely see a boost in rankings for the page you’re linking to. Internal links can be very powerful to pass signals on e-commerce sites which may have many paths to similar content. They reinforce which are the right paths for search engines to take and which pages from many near-duplicates which are the most important ones to index and serve in response to searchers queries. Check the ‘internal links’ section in Google Search Console to identify those pages within your site which you’re signalling to search engines are not as important as maybe they should be adding very few internal links. Also check for multiple pages which really answer the same user need but are also receiving nearly the same number of internal links. You’ll often find what happens is search engines struggle to work out which of them is the best candidate to serve in response to user needs and the pages jump in and out of results, with one or one of the others being prominent. Choose one where this happens and direct the strength into that page. You’ll find this again happens a lot in e-commerce SEO situations. If your brand name is mentioned online, you can use Google alerts to find the source. It may be that the publisher has already inserted a backlink to your website, but this is not always the case. In such circumstances, email the publisher and ask them to embed a backlink to a page on your website that is relevant to their article. On many occasions the publisher will be more than happy to link back to the source of the information (in this case, your site), because of the benefits it will bring to their onsite visitors. It helps if you are polite too. This type of outreach might even lead to further opportunities to collaborate or contribute quality content as a guest author on this site and perhaps even an additional online ally or advocate of the work you’re carrying out online, or your studies. Set up a Google alert on your brand name and its variants. With the growing predominance of mobile handsets as the device of choice, native apps are a great tool for a deep linking strategy. If you have built an app, you should be using deep links for indexing purposes anyway so your app appears in more organic search results. Google have now also provided analytics resources in Google Search Console so you can monitor traffic from apps. You’ll need to submit your mobile app as a separate property in Google Search Console first. You’ll then be able to identify the deep links from the apps which drive traffic. If we can help at all with your on-page or technical SEO optimisation get in touch.